Phill is an improviser living in Seattle. 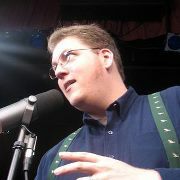 Dave is currently a member of ComedySportz Seattle, and is the Artistic Director of Interrobang Improv. 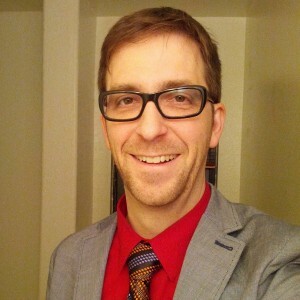 He has performed with both Jet City Improv (Rudolph: The Next Verse, Quiz Show, The Adventures of Gilbert & Sullivan, World’s Fair) and Unexpected Productions (Criminal Improv Unit: Seattle, Skid Road), in the Seattle Festival of Improv Theater, and with various independent groups. Additionally, he’s been a frequent performer in 14/48: The World’s Quickest Theater Festival. His first professional improv gig was at the Edinburgh Fringe Festival in 1986. Joel Dale got his start with Fools Play Improv back in 1996. He left that to found and direct Improsia and now its offshoot, The Temporary People. He was also a founding member and former artistic director of Seattle Neutrino Project. He can also be seen in the monthly production of Quiz Show. Joel has a degree in Mathematics but also a theater minor from Michigan State University and was even certified to teach both in public high schools. He’s performed improvisational theater on stages in Chicago, LA, Portland, Washington DC, and Edinburgh. Joel has a very singular vision of the art form and is known to be a bit opinionated about it. Andrew McMasters began creating improvisational theater and events over 25 years ago, and is known internationally as a master instructor and performer. He has led workshops for leadership and communication training for such companies as Hasbro, Microsoft, T‐Mobile, Virginia Mason Hospital, Premera Blue Cross as well as many others. As the Artistic Director of Wing-­It Productions, he successfully manages a company of over 40 actors that perform over six shows every week of the year. He is instrumental in the creation of new work, using the skills of improvisation to innovate new performance techniques, presentations and formats. Andrew holds a Masters Degree in Drama and a Certificate in Arts Management from the University of Washington and a BA from Temple University. He has taught internationally and nationally for various universities and organizations. 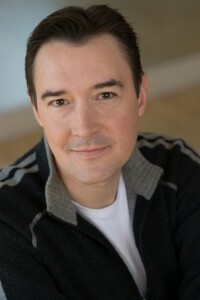 He is currently working on a book outlining the creative process of Improvisation for use in multiple industries. Ian started improvising in 1997. He attended Harvey Mudd College where he performed with Without a Box, an improvisational and experimental theatre troupe, and in his off-time studied mathematics. 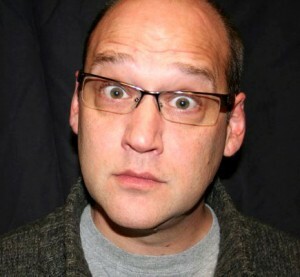 In 2001, he moved to Seattle and in 2004 he started regularly performing with Jet City Improv. Since then, he has spent his improvisational life performing (in such shows as Suave, Sisters of Sal, and Funbucket), creating shows (Shades of Grey, Unspeakable Horrors, and Funbucket) and sitting in bars with improvisers, talking about improv. He spends his non-improvisational time as a web developer, husband to a lovely wife and father to two wonderful sons. Elicia Wickstead has been improvising in Seattle since 1992. 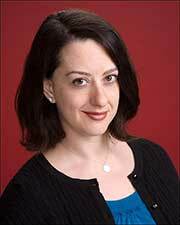 She joined Unexpected Productions as an ensemble member in 1994 and she is also currently an Artistic Associate with the company. Some favorite UP shows include Black Eyed Blonde, 80’s Teen Movie (director), A(n Improvised) Christmas Carol, Campfire, Feel You Up!, and TheatreSports™ – Seattle’s longest running show. Elicia is a frequent improvised play cast member at Wing-It Productions. Favorite WIP shows include Shades of Gray, Lease, Lovetanic, The Lost Folio, Going Steady and most recently Final Transmission. She is a co-founder of the improv horror group Blood Squad which performs regularly throughout Seattle and has been seen at the Bumbershoot and Sasquatch music & art festivals. She has performed all over the US, Canada, Germany & Austria at various festivals and never ceases to be amazed at the great wealth of improv talent in the world. As an improv teacher she seeks to encourage spontaneity, good communication & strong narrative. She practices kindness to animals, but sometimes eats them.